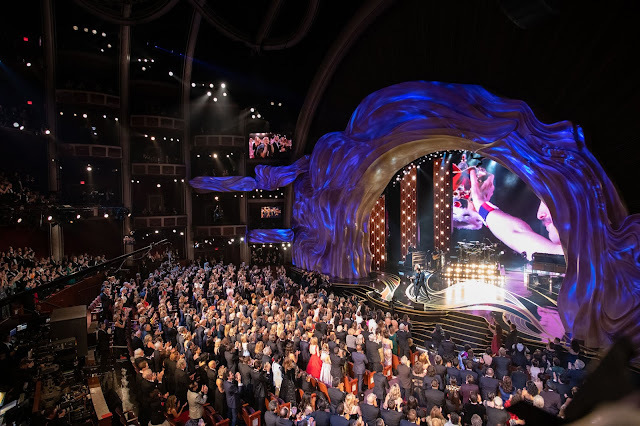 The 63rd annual Primetime Emmy Award nominations were announced on Thursday, July 14, with a few award favorites being featured in every major category, as well as several new or first-time nominations. The latter didn’t come as much of a surprise, and while there were quite a few nominations that were more than welcome, there were disappointments as well. The comedy categories were ruled by MODERN FAMILY, with the show getting as many as 17 nominations, including acting nominations for almost the entire cast. Each of the performers from the series deserves the nods they received, especially last year’s Outstanding Supporting Actor Eric Stonestreet and Sofia Vergara. I’m almost certain that MODERN FAMILY will take away Outstanding Comedy Series this year as well, but if it were up to me, it’d be a tough choice between that and THE BIG BANG THEORY. This year, both Jim Parsons and Johnny Galecki have been nominated for their roles in THE BIG BANG THEORY in the Lead Actor category, and even though Galecki’s Leonard may not be a beloved character, he does play the part well. I wouldn’t be surprised if Cooper takes away the award for a second consecutive time. However, with Steve Carell’s exit from THE OFFICE, the jury might just give it to him this time. Another contender, Matt LeBlanc has been nominated for playing himself in EPISODES. It would definitely be a welcome surprise to see the gifted actor winning the Emmy for Lead Actor. In the Lead Actress category, I think the race is mainly between Laura Linney (THE BIG C), who won the Golden Globe, and Edie Falco (NURSE JACKIE), last year’s winner. A surprise nomination was Martha Plimpton’s for RAISING HOPE, but I doubt she stands a chance at winning. GLEE’s Lea Michele was left out of the list this time. I was disappointed with HOW I MET YOUR MOTHER not being acknowledged adequately this year, since they had a great S6, definitely a notch above the last few seasons. I actually thought that Neil Patrick Harris stood a good chance of finally winning Supporting Actor, given how well he portrayed Barney Stinson in a major season for the character, but I was disappointed to see that he was even left out of the nominee list. The show has been nominated for Directing and four other categories, so at least they didn’t let it go completely unmentioned. And while 30 ROCK has got 13 nominations, I don’t see it winning in the top categories. GLEE trails right behind with 12 nominations, including a second one for last year’s Outstanding Supporting Actress, and this year’s host, Jane Lynch, as well as Chris Colfer. While I think that Colfer overacts a lot, since the past season of GLEE did touch upon the issue of bullying, involving him, the jury might consider him worthy of the Emmy this time. One show that has been soaring in popularity lately is GAME OF THRONES, which, I think stands a good chance at winning Outstanding Series. I’m almost certain that MAD MEN won’t win this time, even though it has earned the highest number of nominations for a series—a whopping 19 nods. The most recent Golden Globe and SAG winner BOARDWALK EMPIRE stands a better chance. However, FRIDAY NIGHT LIGHTS has been generating a lot of Emmy buzz lately and we might just have a surprise win there. The two shows are also competing for Lead Actor, with BOARDWALK’s Steve Buscemi and FRIDAY’s Kyle Chandler in the race. I personally wish that the jury would honor Michael C Hall (DEXTER) or Hugh Laurie (HOUSE MD) at least once, this time, for their brilliant portrayals of the title characters in their respective shows. Another performer deserving of a win is Mariska Hargitay (LAW AND ORDER: SPECIAL VICTIMS UNIT), but I suspect she’ll always be remembered for having been nominated every year, but never having won. Lead Actress could go to Connie Britton (FRIDAY NIGHT LIGHTS) or Julianna Margulies (THE GOOD WIFE). I was disappointed to see Sally Field (BROTHERS AND SISTERS) missing from the list of Lead Actress nominations, because even though the actress has won an Emmy previously for playing the endearing matriarch, I thought she did a great job in the final season of the show. As for the Directing award in Drama, I suspect that the competition will be tight between GAME OF THRONES and BOARDWALK EMPIRE. 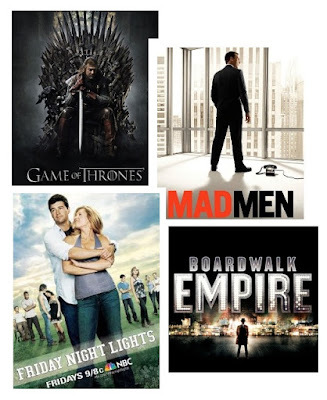 The Writing award could go to any of the three big contenders (BOARDWALK EMPIRE, FRIDAY NIGHT LIGHTS and GAME OF THRONES), but I have a feeling that MAD MEN will win in this category. Year after year, AMERICAN IDOL has been nominated for Outstanding Reality-Competition Program, as it has been, this year. I really think the show deserves to win at least once, because everything about the show reflects perfection, especially the hosting, by Ryan Seacrest. I hope the jury finally recognizes him as Outstanding Host for a Reality Program. One set of categories that I find particularly interesting are those for Outstanding Guest Actors and Actresses, because these categories give credit to those who make an impact on us audience members, albeit in small doses, adding great value to our TV experience. This year’s nominees are all those who have made impressive appearances on several popular shows. I would love to see any of the following win: Loretta Devine (Adele Webber, GREY’S ANATOMY); Gwyneth Paltrow (Holly Holiday, GLEE); Julia Stiles (Lumen Ann Pierce, DEXTER); Dot-Marie Jones (Coach Beiste, GLEE); and Beau Bridges (Nick Brody, BROTHERS AND SISTERS). I especially think Julia Stiles will win, because she was truly outstanding in DEXTER. I do wish John Stamos had been nominated here for his impressive stint on GLEE, especially since Neil Patrick Harris won last year for a similar appearance on the show. So there you have it… That was my take on the nominations of the 63rd annual Primrtime Emmys. Do share with TV TALK what you found surprising or disappointing among the nominations. I look forward to the presentation of the awards on September 18, especially since the show this year will be hosted by the very talented and hilarious Jane Lynch.